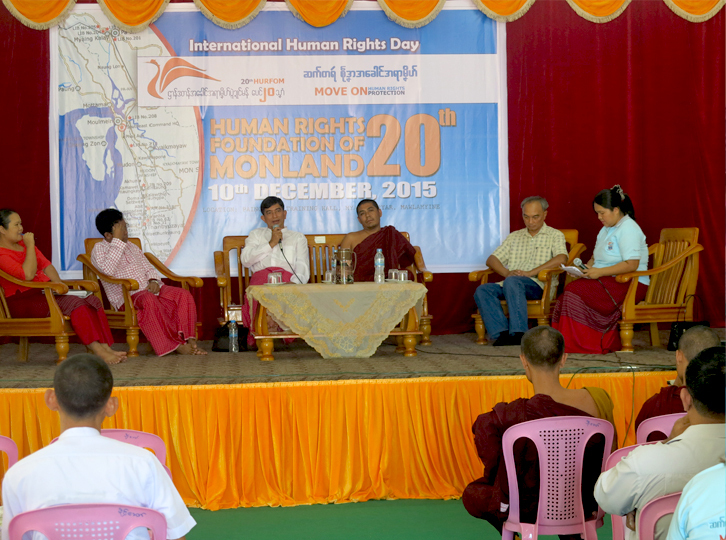 On December 10, 2015, the Human Rights Foundation of Monland (HURFOM) and its associate organizations celebrated International Human Rights Day and the 20th Anniversary of HURFOM in Pine Khit Hall – Shin Saw Pu Street, Myine Thar Yar Ward, Moulmein, Mon State. 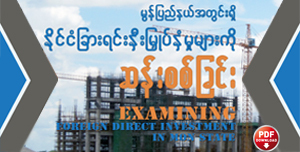 Around 100 participants were present, including venerable monks, representatives from political parties, and members of women’s organizations and community-based organizations (CBOs). 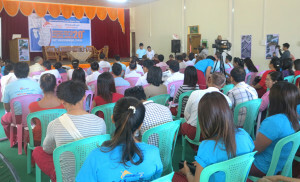 The ceremony was held with the purpose of educating participants about the Universal Declaration of Human Rights, while encouraging respect for human rights and making participants aware of International Human Rights Day. Through the celebration HURFOM hoped to encourage local people and authorities to contribute to human rights projects, while urging CBOs to cooperate in promoting human rights and the rule of law. Posters presenting HURFOM’s activities and reports over the past 20 years were presented in the hall where the ceremony was held. 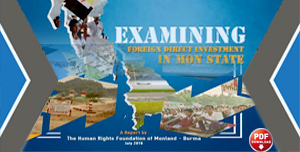 HURFOM also offered participants copies of human rights posters, pamphlets, HURFOM reports and souvenirs. 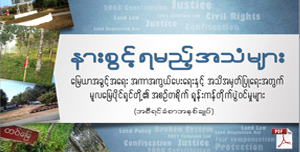 Dr Min Soe Linn, an elected representative from the 1990 and 2015 general elections, gave the opening speech. 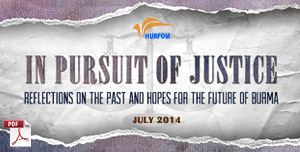 Afterwards, Nai Kasauh Mon – Chief Executive Officer of HURFOM – presented HURFOM’s human rights journey over the past 20 years. This was followed by a brief explanation of activities by HURFOM’s associate organizations: the Independent Mon News Agency (IMNA), Guiding Star News Journal, Jee Pya Empowerment and Development Organization and Mon Area Community Development Organization (MACDO). The ceremony included a discussion panel on human rights, followed by a Q&A. Topics discussed included human rights and Buddhism; the struggle for human rights and democracy; women and child rights; environmental, civil and human rights; and natural resources and human rights. 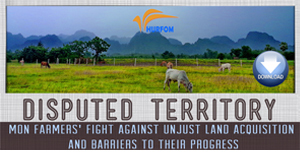 Speakers included notable environmentalist Nai Mon Tari, who travelled from Mae Sot, Thailand to attend the ceremony. The ceremony concluded with the awarding of a Best Leader Award to Nai Kasauh Mon by HURFOM staff. 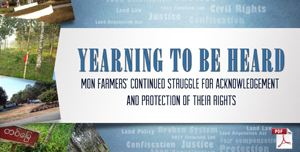 The Human Rights Foundation of Monland (HURFOM) is a non-governmental human rights organization founded in 1995 by a group of Mon relief workers, students and community leaders. 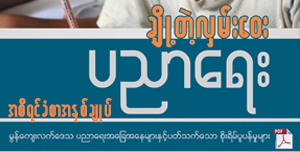 HURFOM works to monitor the human rights situation in southern Burma, publishing print and online news, lengthy reports and analysis of ongoing human rights violations.